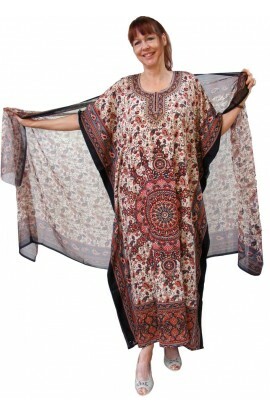 A kaftan in high quality crepe-feel polyester. For sizes larger than above, or for people who prefer more room, this is also available with “straight” sides. – at no extra cost. Please visit our Term and Conditions regarding our “Bespoke” service.